To Add a Note to a contact go to your Active Campaign Action. From there, click the green Add Another Event button. (This button only appears once a list has been selected and you have saved the Add/Update Contact Event). Then select Add Note. 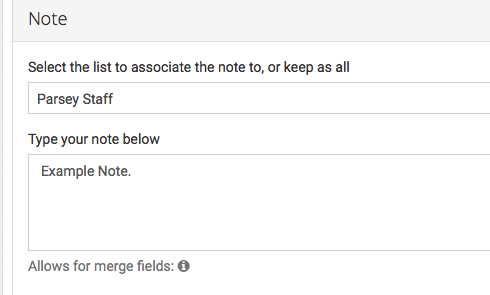 First you will want to select the list you want to associate the note to, or you can keep it associated with all lists. 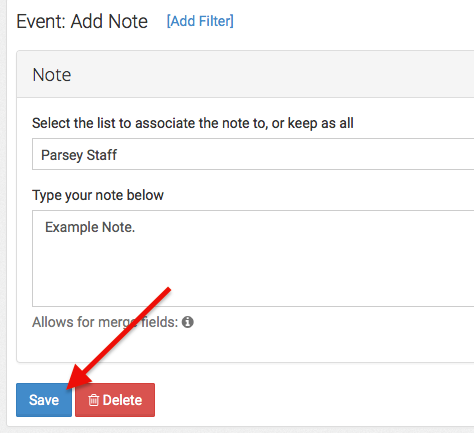 Now that you've selected your list, you can begin creating your Note. 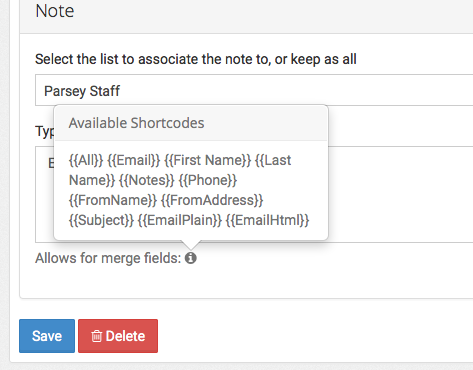 You can also use merge fields generated by the fields you extracted from the Email or Webhook. Once you have finished configuring the Add Note event, click Save.